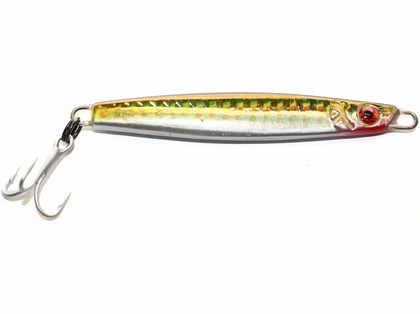 Home > Saltwater Fishing Tackle > Saltwater Fishing Lures > Daddy Mac Lures > Daddy Mac Albie/Bonito Jig - 1 oz. Daddy Mac Albie/Bonito Jig - 1 oz. Perfect for Bluefish, Bonito, False Albacore (Albies), Fluke, Scup, Snook, Spanish Mackerel, Striped Bass (Rockfish), and Tautog!